Newspapers are full of Natalie Portman’s wedding to Benjamin Millepied – ballet dancer / choreographer, partner of three years and father of their son Aleph. They tied the knot recently in what wedding prophets are stating is the beginning of a new wedding trend – understated. But actually understated has been around longer than that. The growing enthusiasm for more socially responsible, low-key unions are present in the increasing number of alternative ceremonies that favour back yard, off beat, gorilla style weddings over the lavish Kardashian (and soon to be Jolie / Pitt) fashion. Natalie Portman chose to celebrate with only 100 friends and family opting for a very secluded private residence as opposed to the myriad lavish hotels or resorts from which she could have chosen. In this way she remained away from the invasion of the press and managed to keep the wedding personal. She chose to wear a tea length A-line frothy white dress said to be by Rodarte (friends of hers) teamed with a simple veil and floral crown. The ceremony was a traditional Jewish wedding under a chuppah. The food was strictly plant based and there wasn’t a cake. Instead, in deference to Millepied’s French roots, they served macaroons. 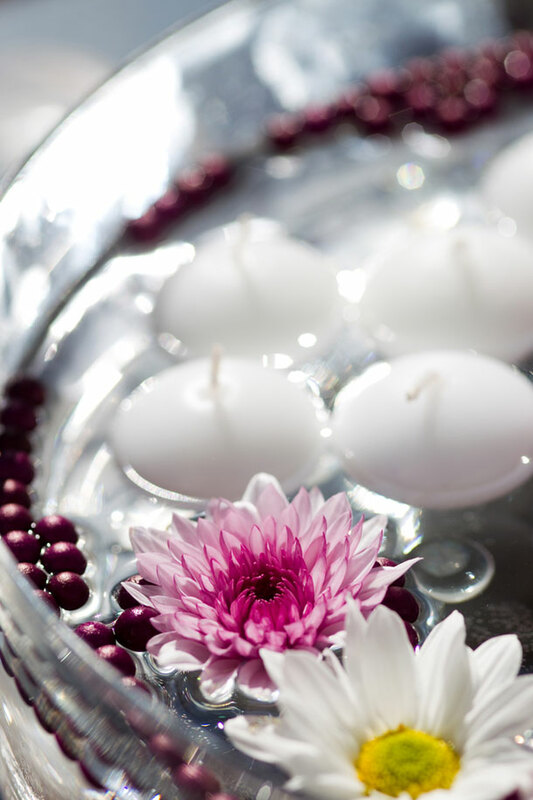 Spend less money on more eco-friendly things like local food and flowers, repurposed items as centrepieces etc.